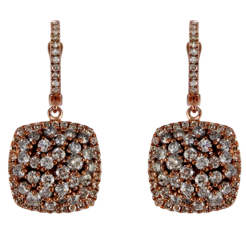 These dangles are sure to catch a lot of attention with their vibrant blue color and high quality, white Diamonds. The round cut, Blue Topaz are excellent in gem color and gem quality. 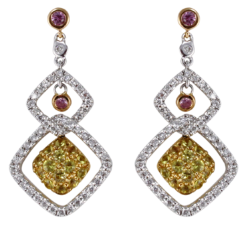 The gemstones are set in 14kt White Gold.